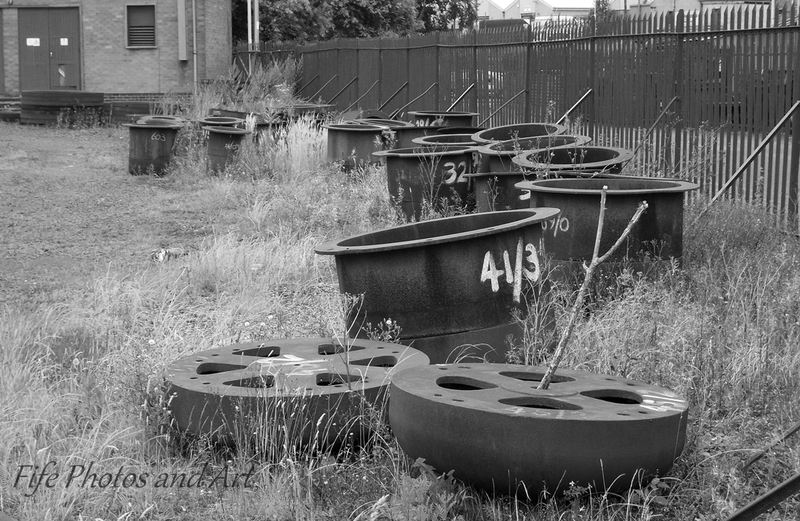 Patterns – Rusting old iron spindles and drums, from an engineering works, in Leven. 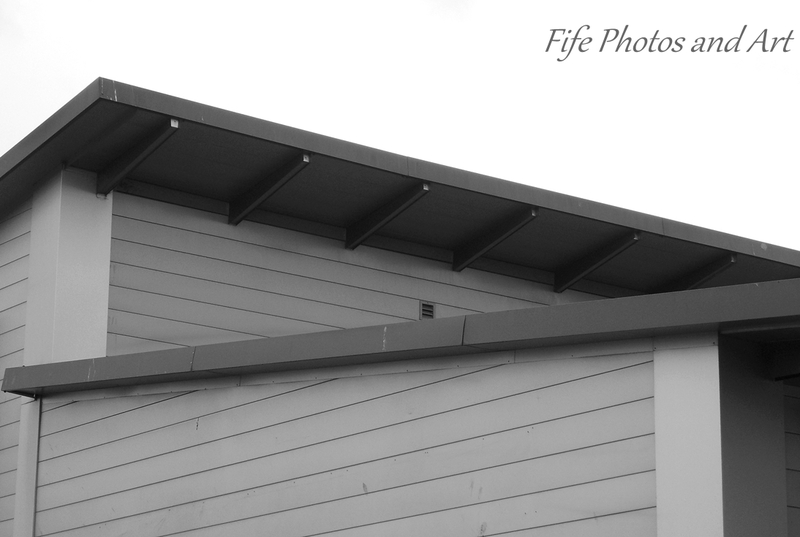 Patterns – Supermarket roof, Glenrothes. 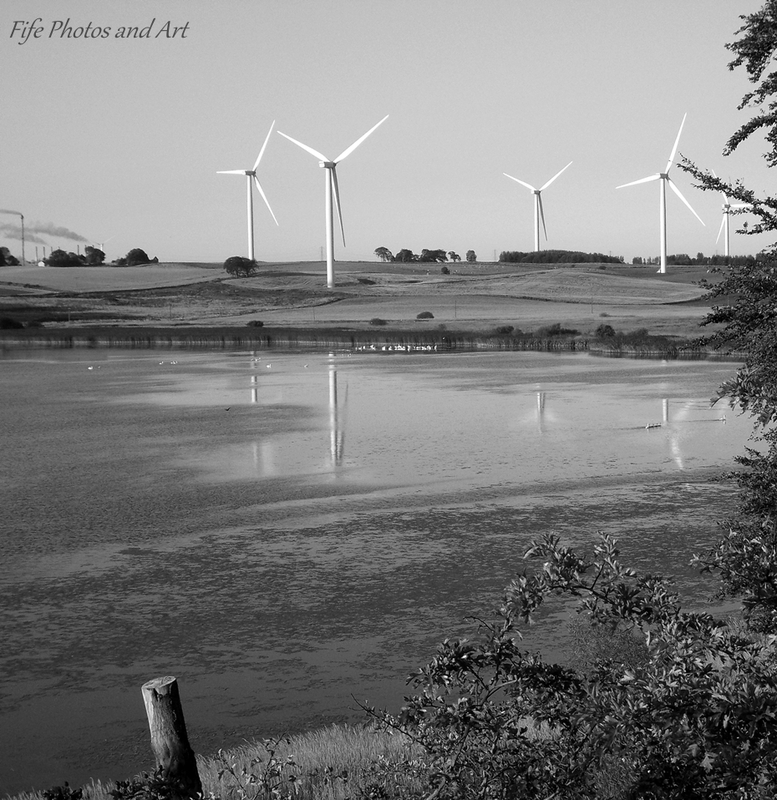 Patterns – Wind turbine reflections at Loch Gelly. 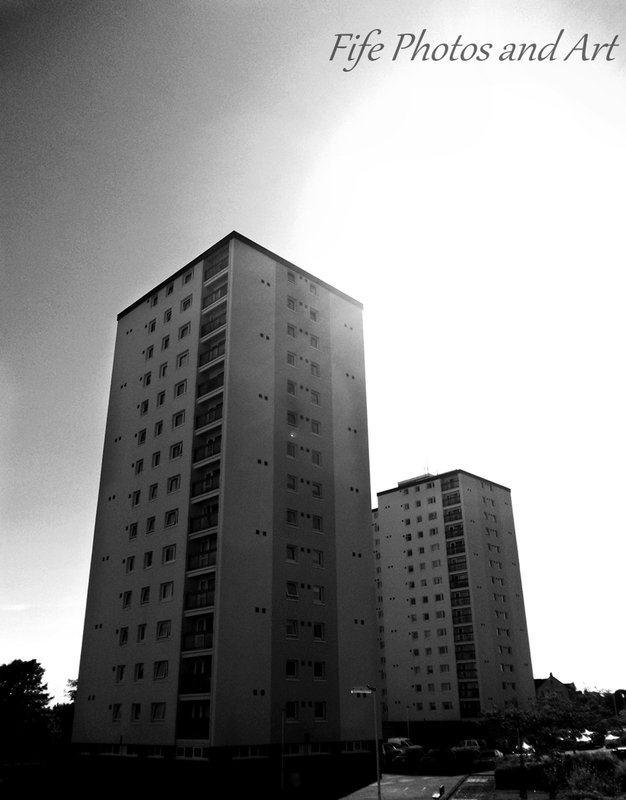 This entry was posted in Architecture, Cee's Black and White Photo Challenge, Fine Art Photography and tagged abstract art, black & white photography, CB&W, Cee’s Black & White Photo Challenge, Falkland, Fife, Glenrothes, landscape photography, Leven, Loch Gelly, Scotland. Bookmark the permalink. 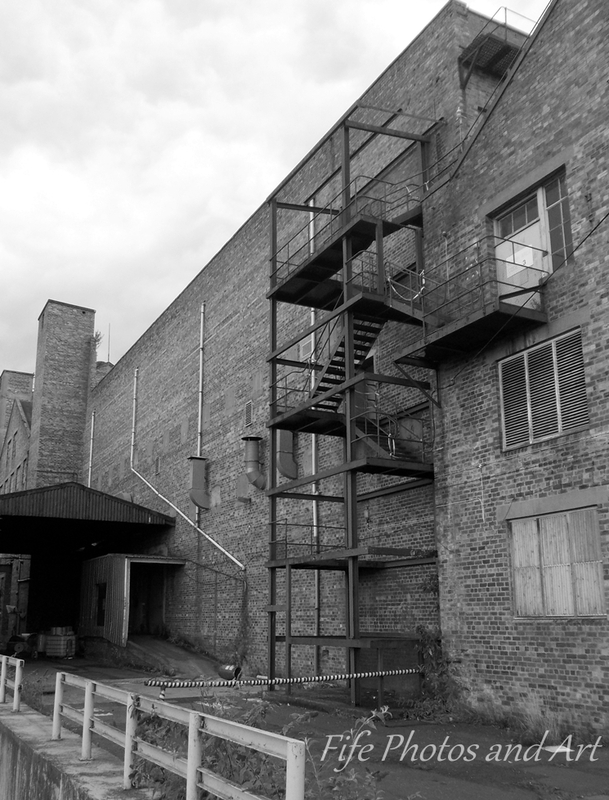 Love those old houses with thise fire escape stairs. Great selection! Thanks Millie 🙂 I personally really like the old buildings, it’s something I hopefully will have more photos of, in the future. I have to agree with you there. Modern buildings hold little attraction for me, although I’m sure there are some very clever and aethetically pleasing designs. I’ll look forward to your photos.